If any area of camp could define the Poyntelle experience, it would be our unparalleled Lake Poyntelle. 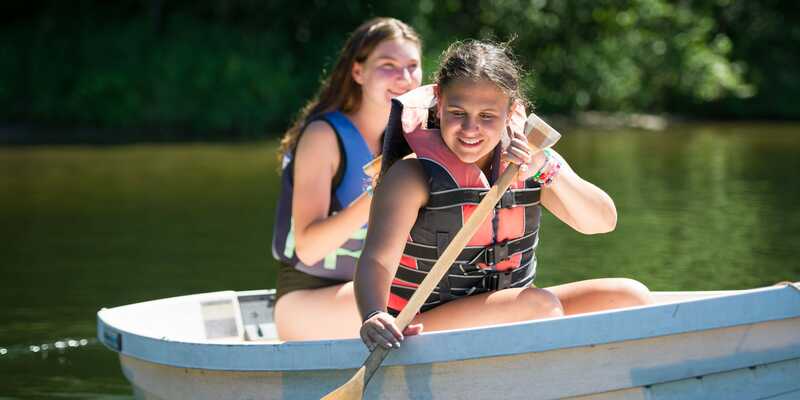 Unmatched in Wayne County, our spring-fed lake is completely private, 71 acres and offers a wide array of exciting watersports, Wibbit aquapark, extensive sailing, canoeing and kayaking instruction, along with fun small crafts such as pedal boats and paddleboards. Nothing conjures more memory of childhood at camp, than playing in the lake and the roar of laughter and fun echoing across the water. At Camp Poyntelle, this is our everyday and the lake is right at the center of it all! We offer an extensive WaterSports program on Lake Poyntelle! We have three powerboats that are constantly flying across our beautiful lake. 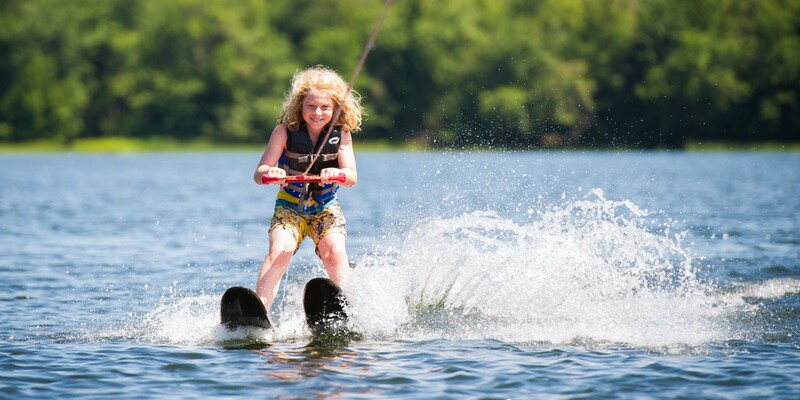 Waterskiing is offered to every camper at Poyntelle – multiple times each week. With certified instructors, great boats and an unmatched lake – our skiing program is exciting, instructional and plentiful! Many of our campers excel in Wake Boarding as well and we offer frequent opportunities for them to test their skills and show off! Of course, there is always time for a thrill ride on our banana boats or 1-2 person tubes! 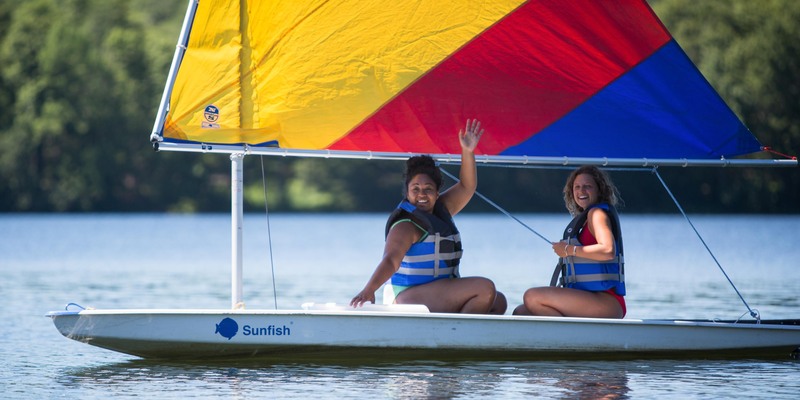 Our 2-3 person Sunfish are the perfect vessel for instruction. Each camper has the opportunity to learn to sail which is often forgotten in a summer camp program. Our campers are encouraged to learn the basics and then to take the next steps to become a first rate sailor! They have the opportunity through our daily program to learn the fundamentals. When they are ready for more, they can sign up for clinics and extra time on the water! NOTHING beats sailing across the lake, with the wind in your face and your camp besties by your side! Challenging and fun – stand up paddleboards are super popular! Whether its morning yoga on the water or just a simple exploration of our lake, the paddleboard offers a great way for a small group of friends to be together and enjoy a super exciting, low key day gliding across the crystal waters of Lake Poyntelle! Whether you’re learning to portage a canoe or kayak solo across our gorgeous lake, the freedom and excitement of taking a boat out and exploring our 70 acre, private lake is just too good to pass up! Small crafts offer the opportunity to work as a team or succeed on your own. What could be better than a Pontoon boat ride and casting away on a gorgeous, private lake? 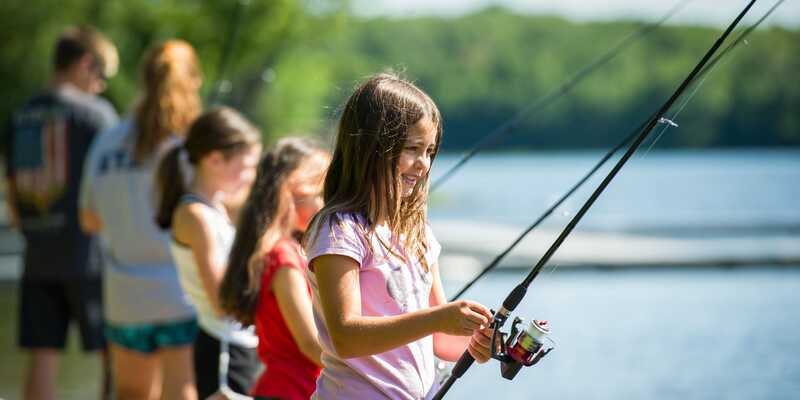 Our campers love to fish – as a way to relax and reset or an action packed fishing derby! 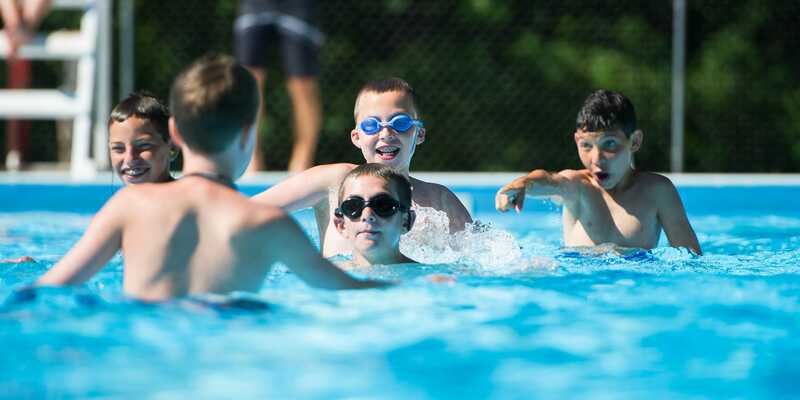 We offer a Red Cross swim program at our incredibly fun pool! Located at our waterfront, our pool is perfect for swim instruction and play time in the pool! Complete with Water Polo and a ton of giant floats the pool is great for daily activity periods and nighttime pool parties under the lights!